Google Adwords, Google Adwords reviews and much more. Get help with your Google Adwords (Pay Per Click) campaigns by uising our certified pay per click management services. Pay per click (Adwords) explained starweb http://www.starwebbinnovations.co.uk/html5/html5.files/html5video/pay_per_click_explained_starweb.jpg Find out more about our pay per click (adwords management) service. By Star Web Innovations Ltd.
Star Web Innovations offer an unrivalled Google Adwords management service using the expertise of our Reading based pay per click team.. We offer either a one-time Google Adwords account optimisation/management or a structured/managed plan with ourselves. Star Web Innovations have a team of individuals who have achieved certification from Google for the set up, optimisation & management of Google Adwords accounts. We offer a personal service in the Reading area where you will be assigned your own dedicated pay per click (Adwords) account manager. For all new Adwords acocunts in 2014 managed by us, we will give you £150 worth of Google Adwords clicks absolutely free! Get more information here. Click on the image above to check the Official Google Adwords Certification Status for Star Web Innovations. The Adwords (Pay Per Click) Management video above should explain a little bit about how Star Web Innovations has helped many small to medium sized companies with their Adwords (pay per click) campaigns in the Reading area. You decide how much or little you want to spend monthly and we will take care of the rest. 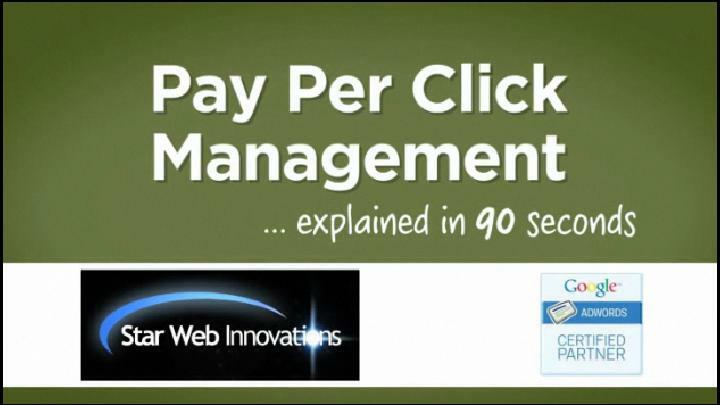 Why Use Star Web Innovations for your Adwords (Pay Per Click) Management? Every new client receives £75 worth of AdWords clicks FREE!